Computers, Printers, Copiers, Scanners, Fax-machines, Document-shredders, Laminators etc. RSRS is a powerful and flexible software tool suited to any computer repair shop and/or technical department dealing with the repair of electronic equipment. 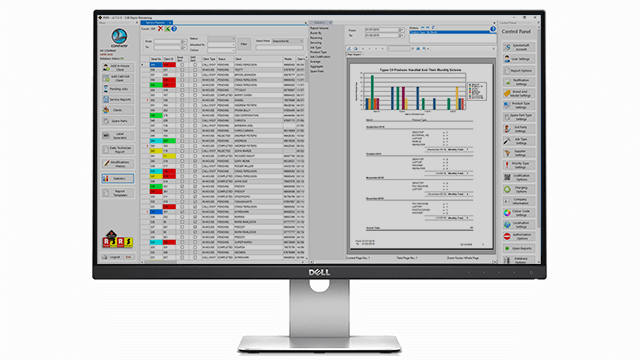 It offers a wide range of tools that enable any company to streamline their processes, improve productivity and efficiency, and as a result enhance profitability. 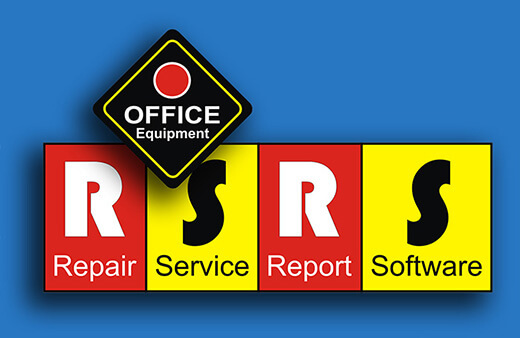 The Repair Service Report Software (RSRS) is probably the most useful tool for your Office Machine Repair Workshop. Your customer’s history along with that of his respective machines allows you to recommend to him the purchase of a newer model thus significantly reducing maintenance and repair costs on his behalf and augmenting income on your end. This, in combination with other statistical information available from RSRS allows you to design and apply an integrated marketing strategy for boosting your sales in general, along with targeted offers and promotions. Human Resource is of the utmost importance. RSRS enables you to codify procedures of repair while creating uniformity and optimization in your workflow. The attained end result is professionalism and the increase of the technical department’s revenue. The Labor Charge Calculator along with the Technician’s Daily Performance Report are but some of the highlights of RSRS. 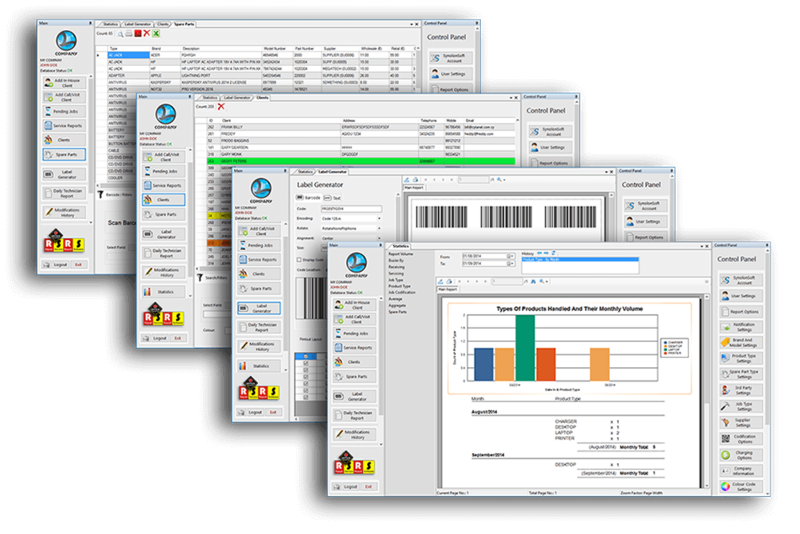 Recording and monitoring the True Costing of your establishment allows you to pin point and minimize losses. Furthermore you can more accurately work out your charges thus increasing your profitability. I have been using this software for the past 6 months. I have requested two new features which Synolonsoft gladly worked out for me and these are now part of RSRS. I have been using RSRS for the past year and a half. I highly recommend it for any small to medium operation repair shops. I am glad to share my experience with RSRS. The EOS interface is just a beauty, different but simple and makes all features of RSRS easily accessible. I started using the BETA edition a year ago. Since then I have received a lot of updates that improved the software so much. The technical support and the entire team where there anytime I needed them. I have been using the software for personal purposes but I really think that it will help me a lot when I will start my start up Computer Fixing Company as soon as I graduate from my University. I have been testing the software for the trial period and It really helped me build my database and review my statistics. I am considering of buying the one year subscription to further extend my database! Click the button below to download the free trial.